Getting Traditional Watercolor Effects with ArtRage: iPad Artist Randel Washburne explains the different settings for the Watercolor tool and techniques for getting washes and glazing effects in the iOS app for ArtRage. Learn to create an underground landscape with a science fiction twist. 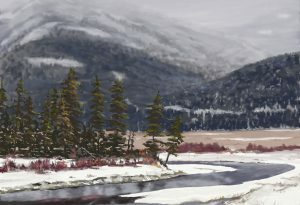 Follow along with professional illustrator Steve Goad as he creates a unique landscape full of environmental detail, interesting perspective, and interesting textures in ArtRage 5. 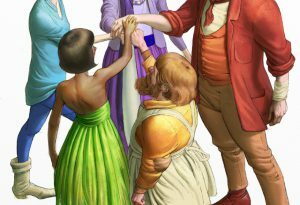 Steve Goad is one of our featured artists and painted some of the official artwork for ArtRage 5 (you may recognise his work from the startup screen in the program). 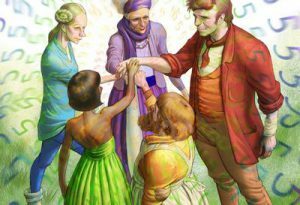 How to Illustrate a Book Cover (Part 3 of 3): Colour & Special Effects. An ArtRage 5 tutorial by Nick Harris. Design a book cover from scratch. 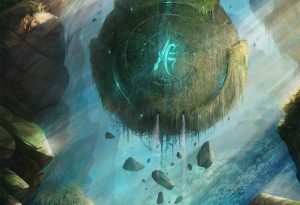 Part three of this art tutorial shows how to choose colors, finalize the composition and details, and experiment with special effects and finishing touches. 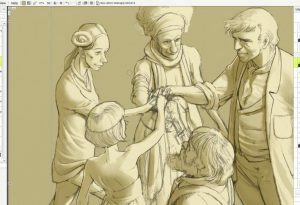 How to Illustrate a Book Cover (Part 2 of 3): Sketching, Flats and Shading (Tone). An ArtRage 5 tutorial by Nick Harris. Part two demonstrates sketching the design and laying out the main elements of the composition, then adding flat colors and tone to plan the shadows and lighting.